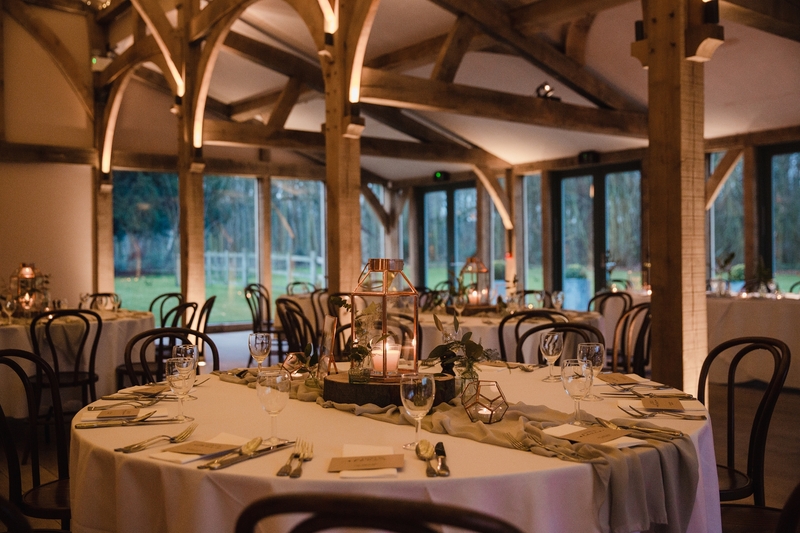 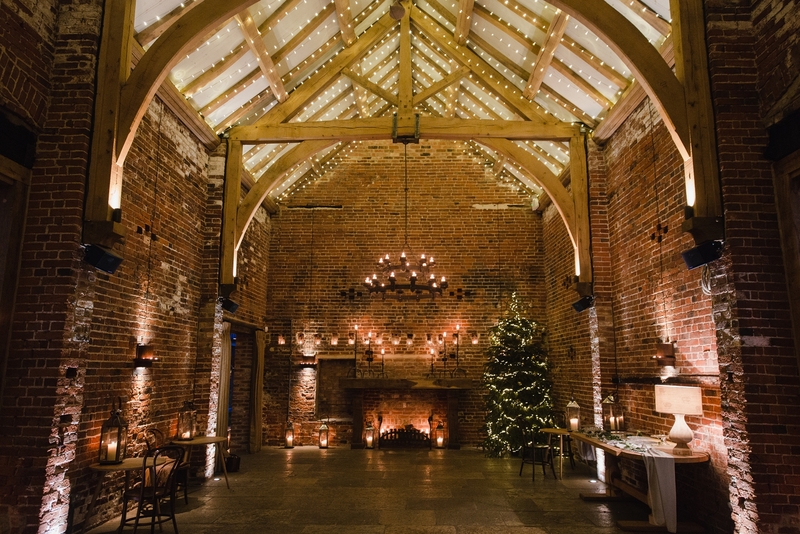 I love a good winter wedding, especially a winter wedding at a stunning barn venue pretty much down the road from me. 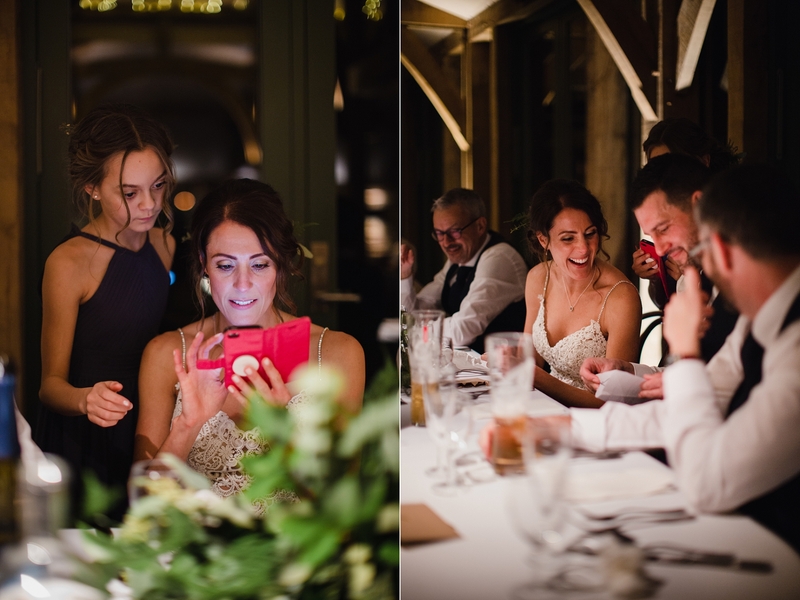 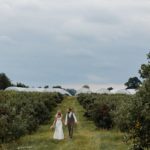 So when Claire got in touch to talk about her Hazel Gap Barn winter wedding I was super excited. 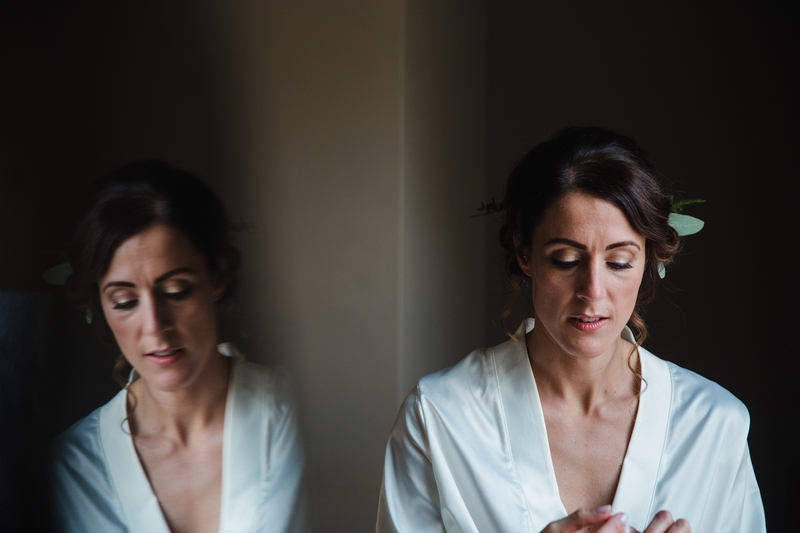 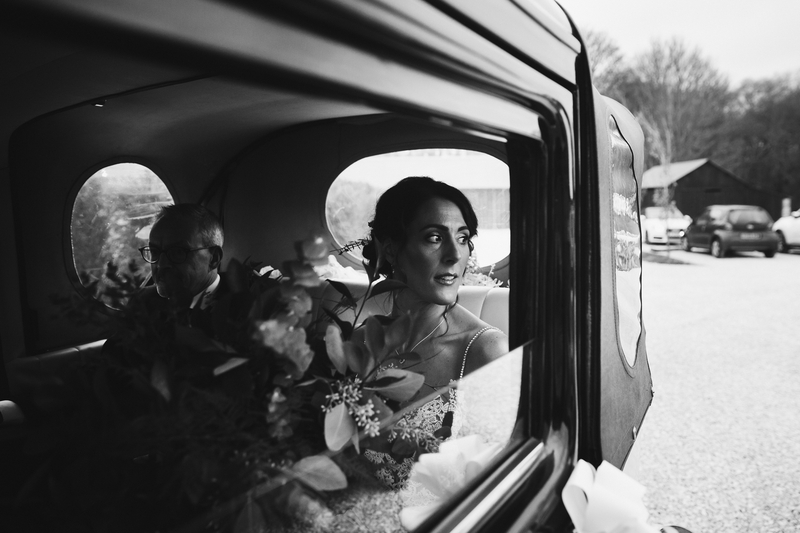 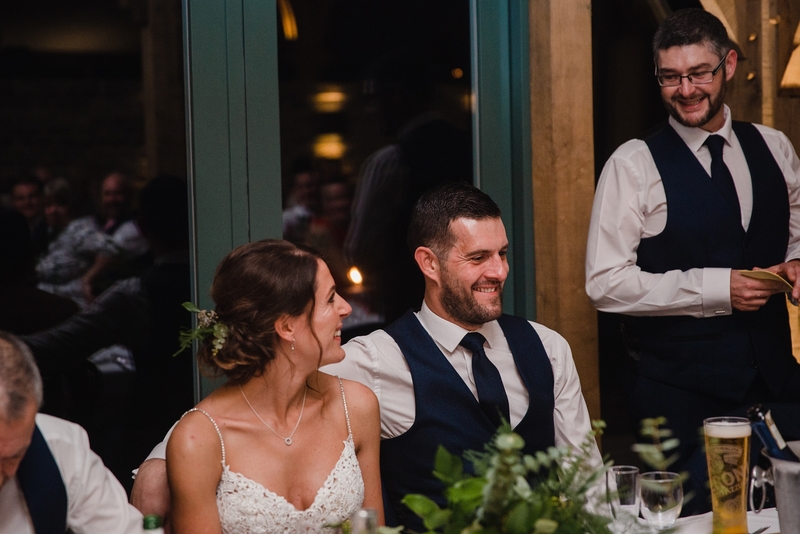 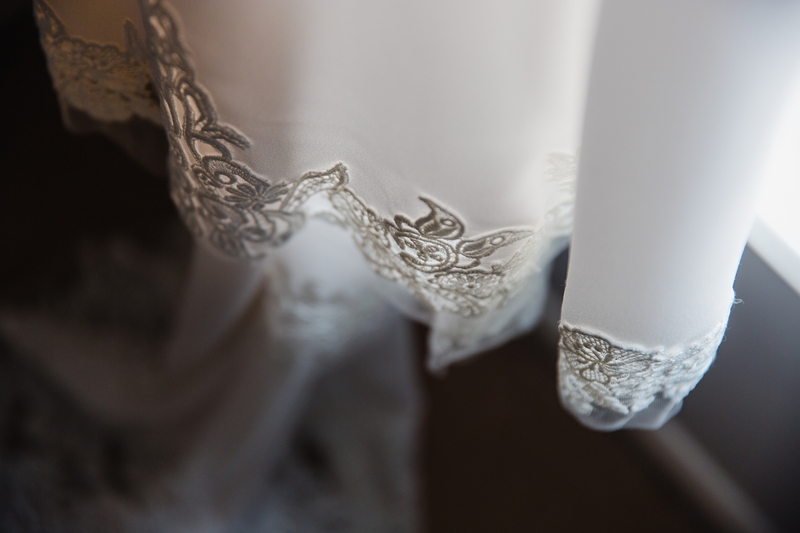 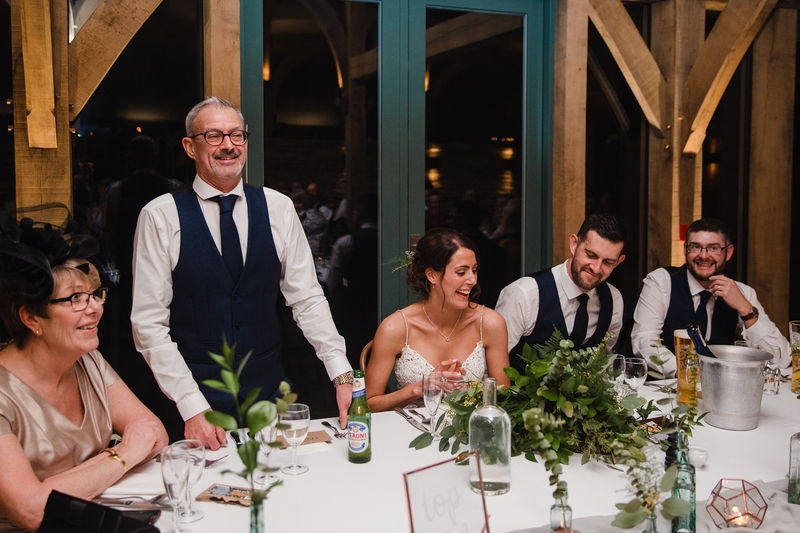 Claire & Neil booked me for my bespoke hourly rate package to cover a little before their ceremony up until that sat down to their wedding breakfast and it worked perfectly. 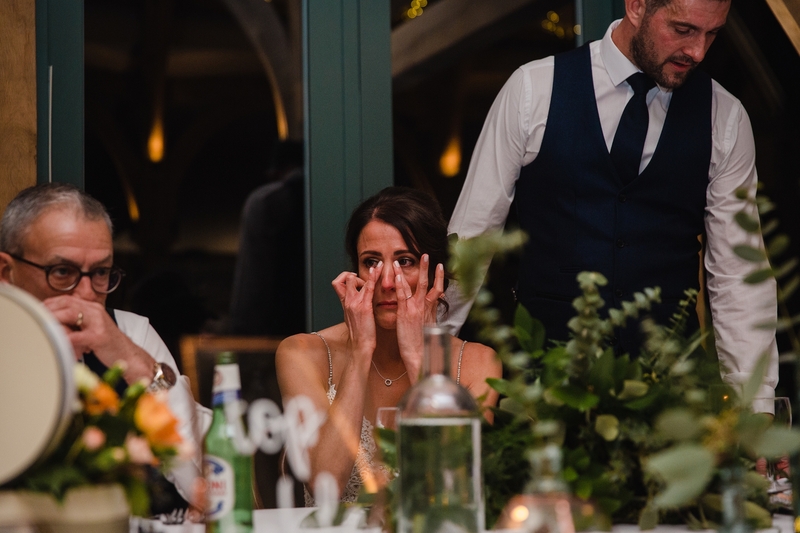 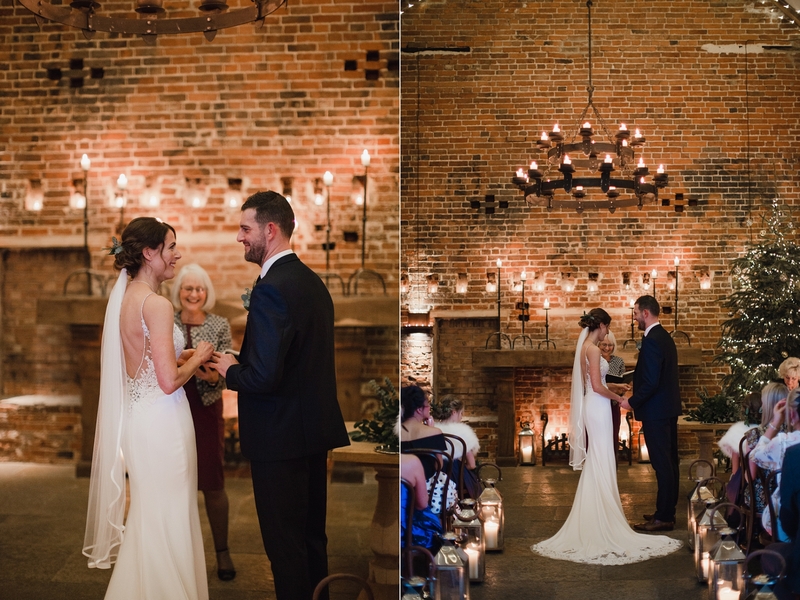 I’m delighted by the beautiful story I captured in those four hours; the beautiful intimacy of their candle lit ceremony, the warmth of the friends and family around them, and the joy of their wonderful little family. 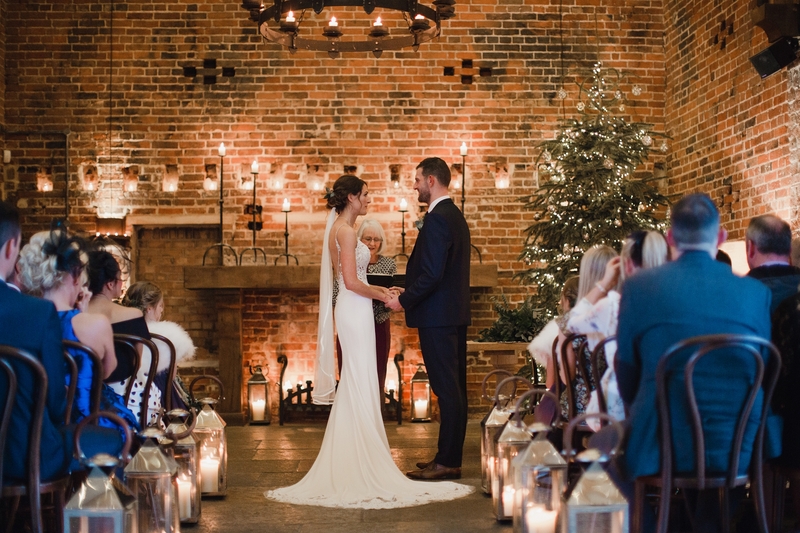 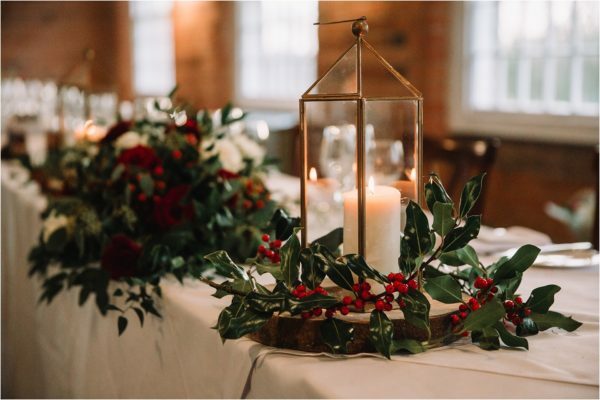 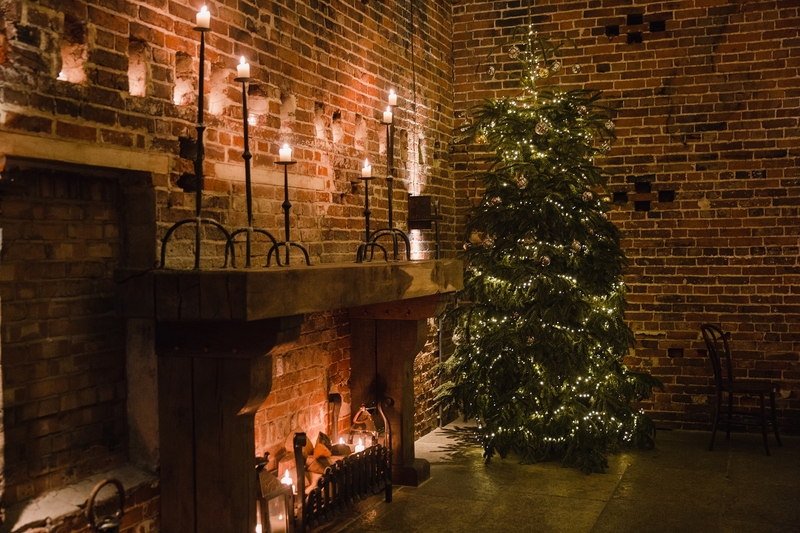 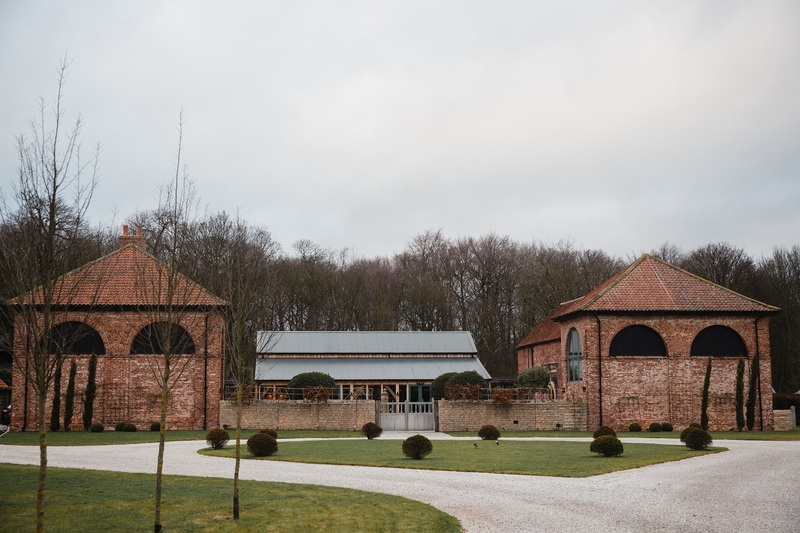 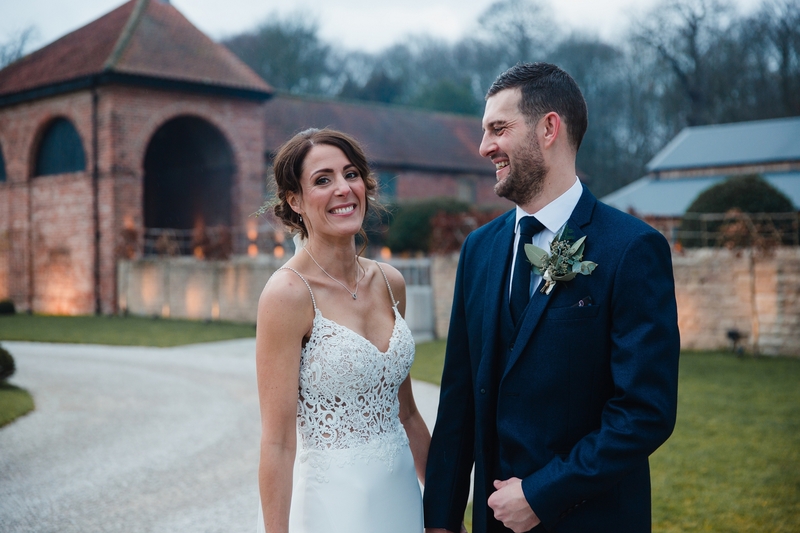 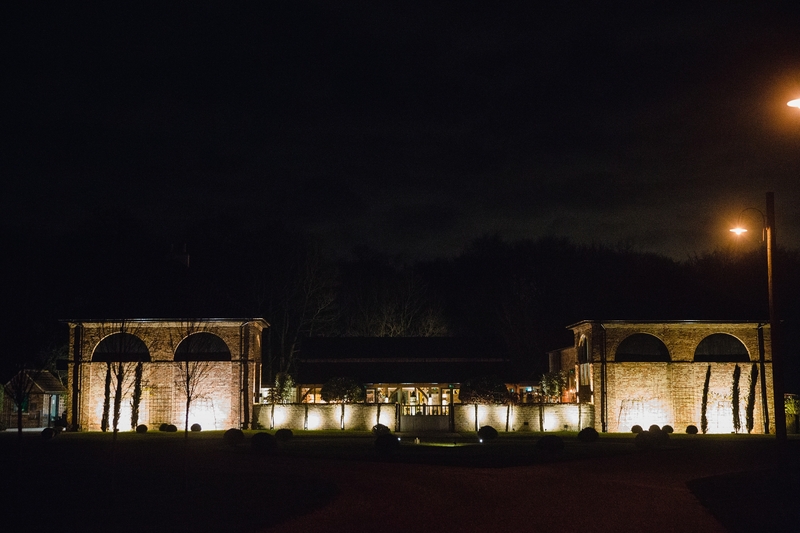 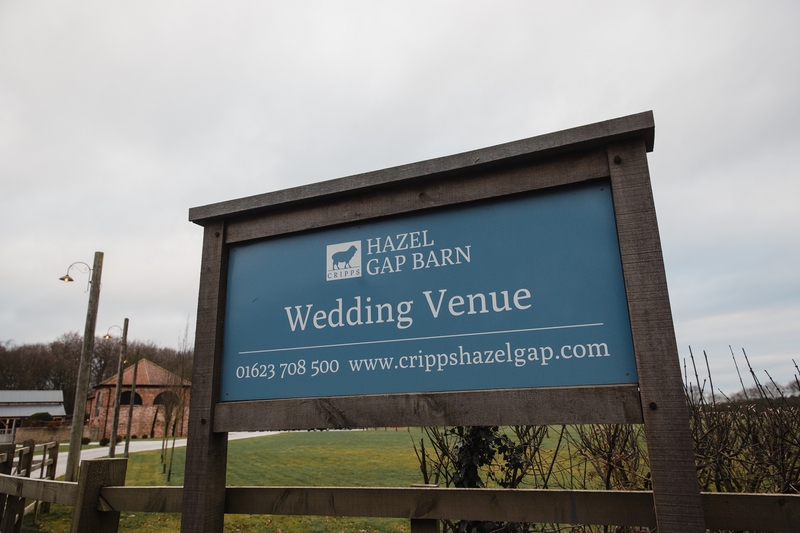 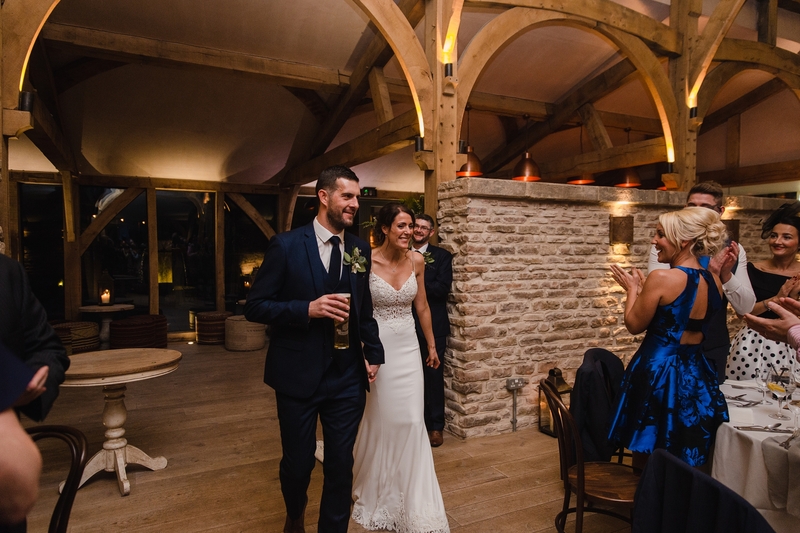 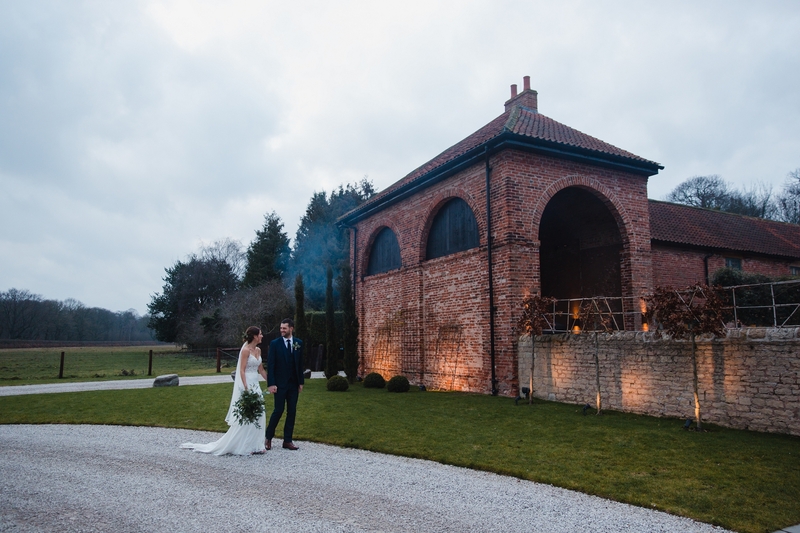 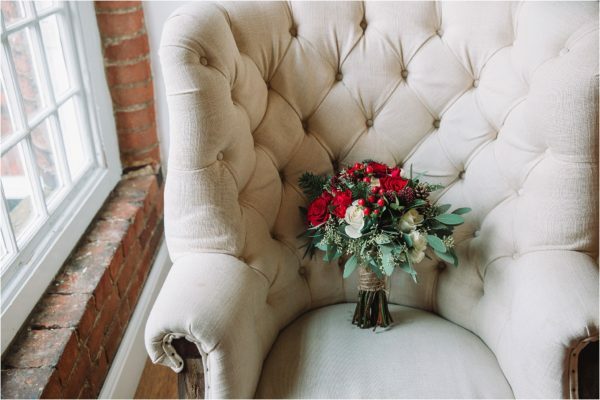 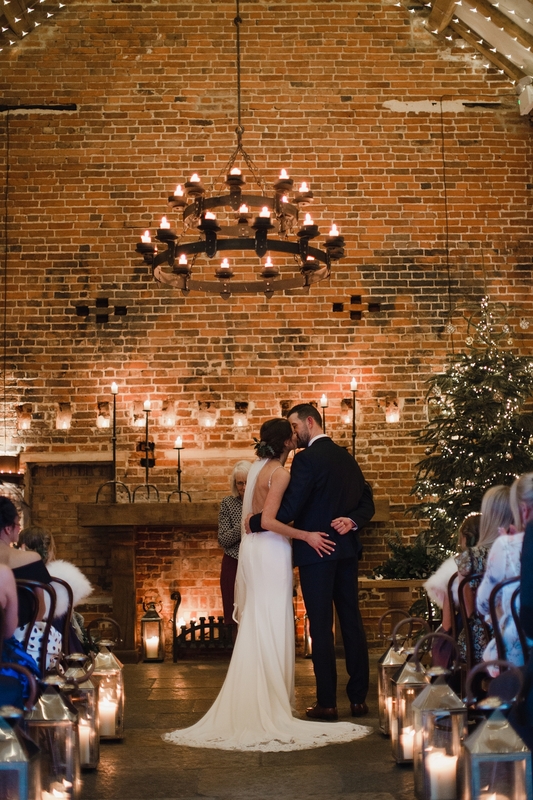 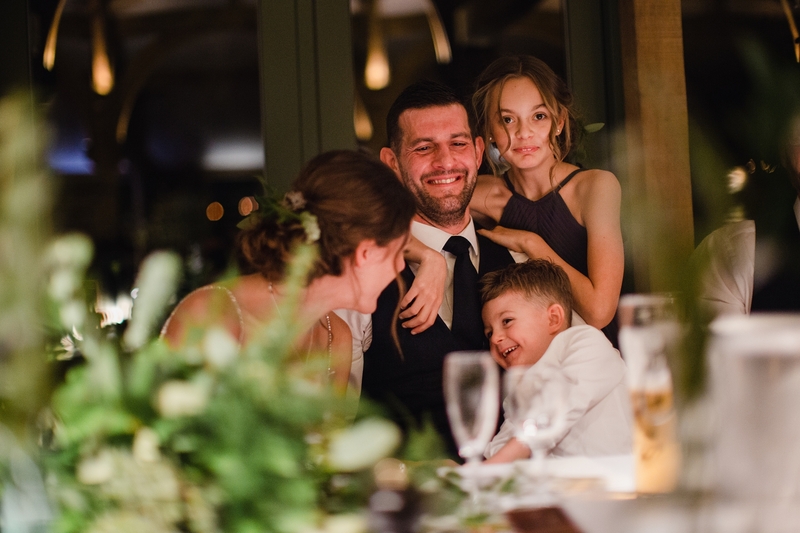 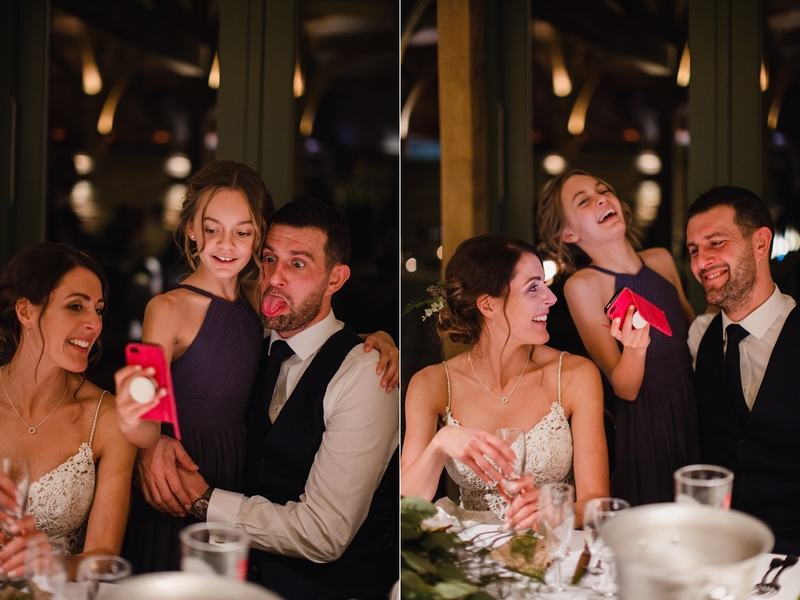 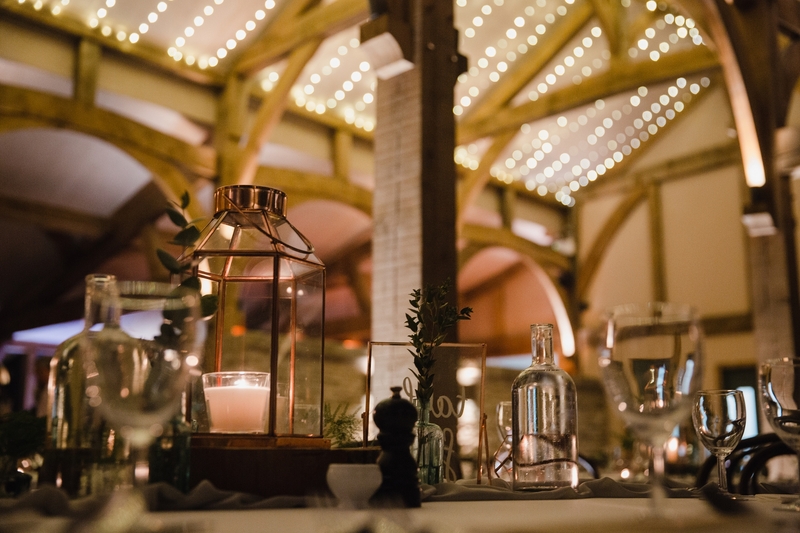 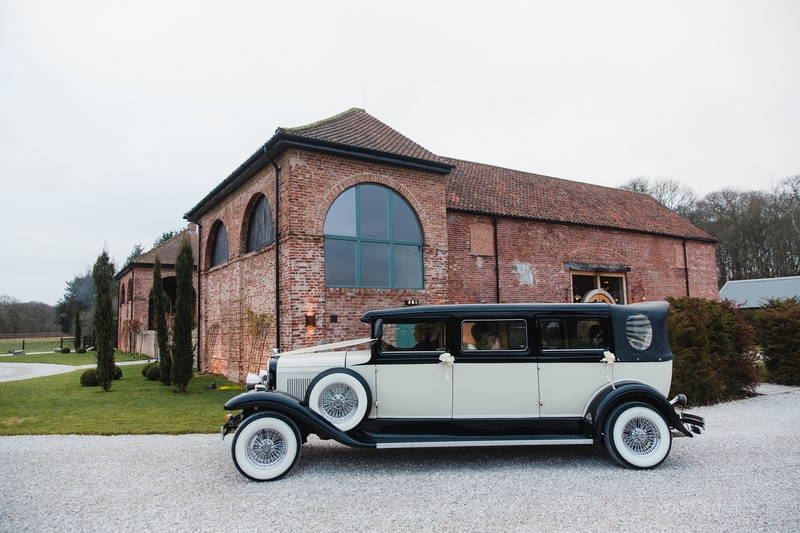 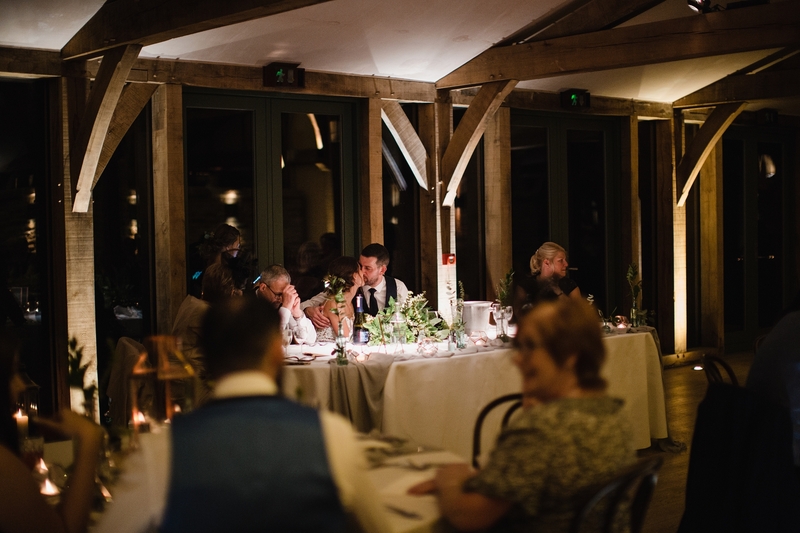 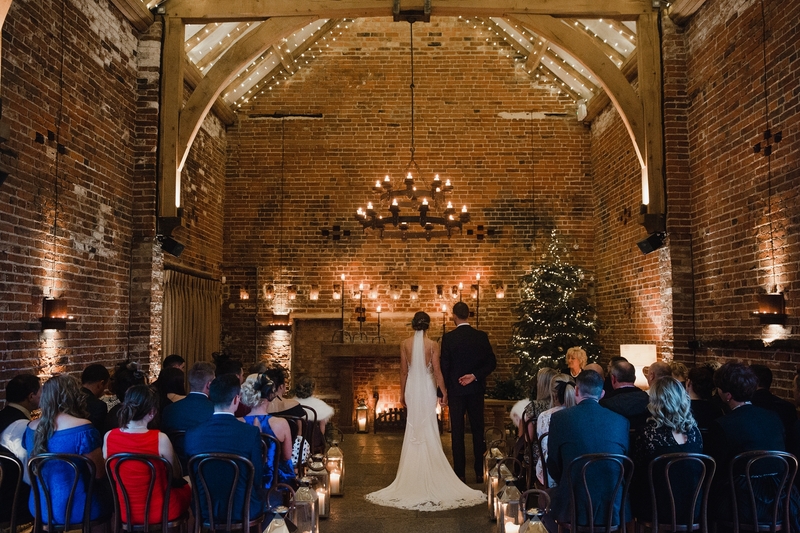 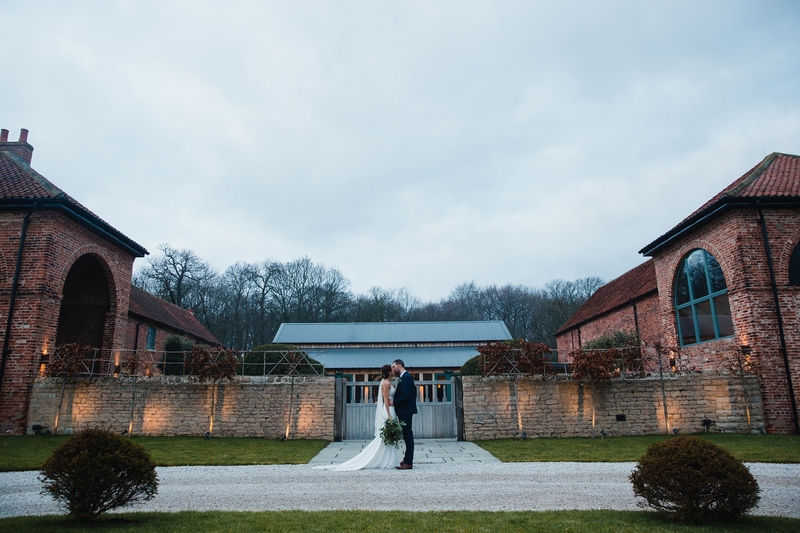 Hazel Gap barn couldn’t be a better venue for a winter wedding, it has a warmth and intimacy that makes it feel super cosy, and the simplicity of the styling lends itself to any wedding look or style. 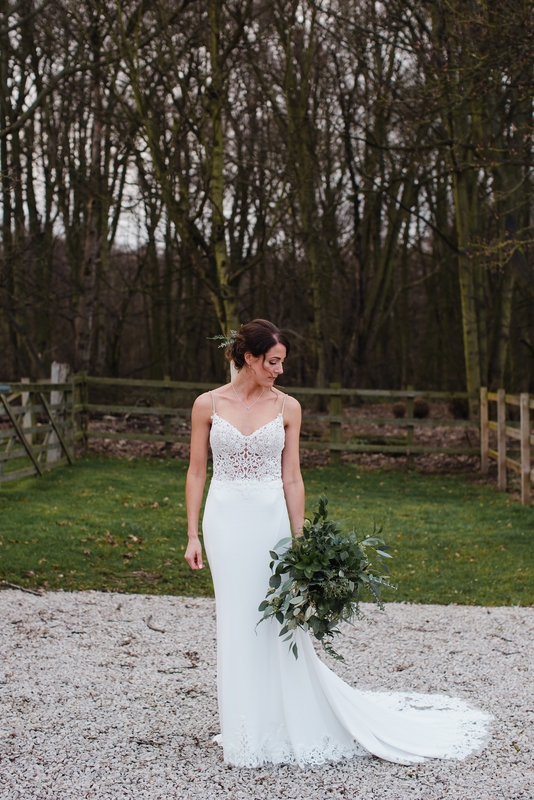 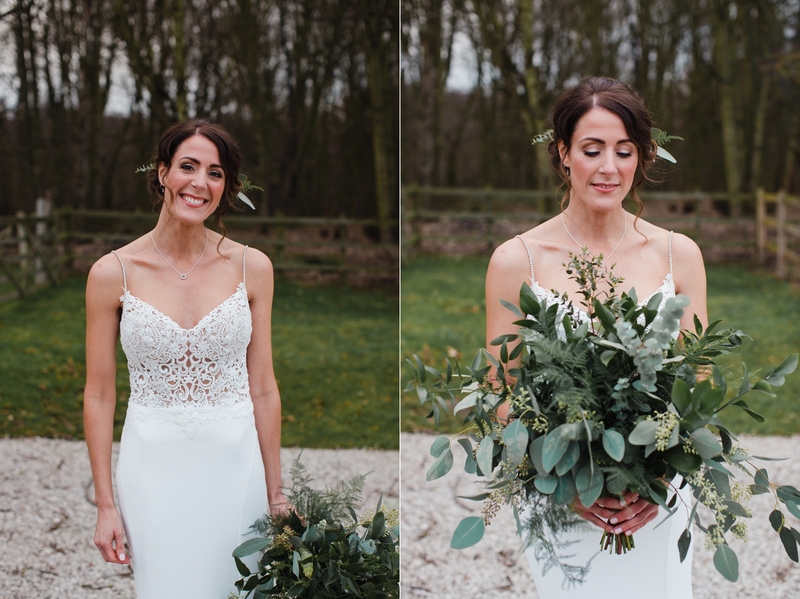 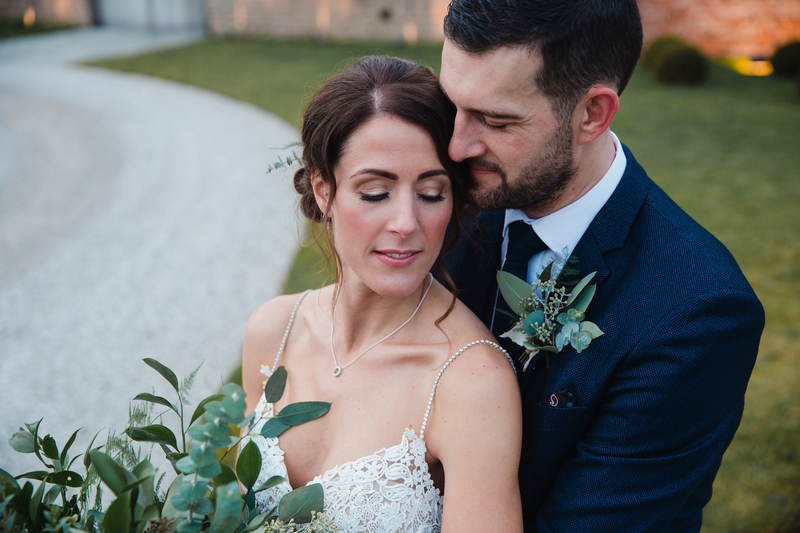 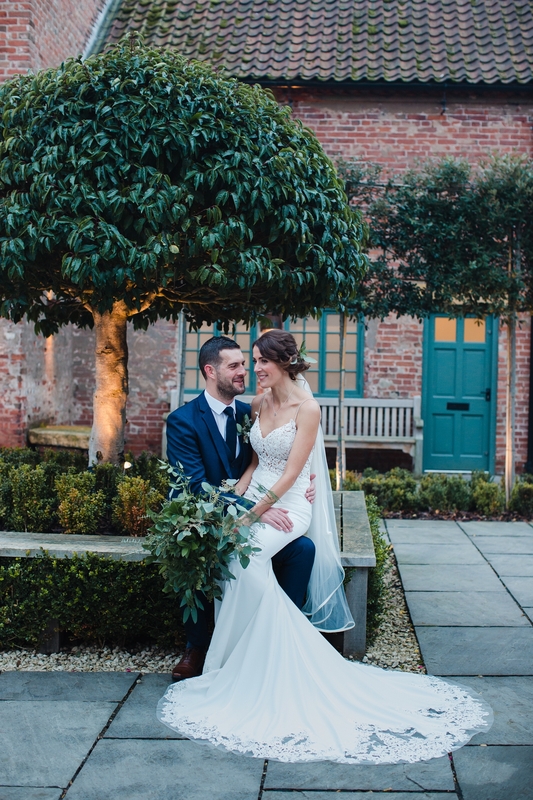 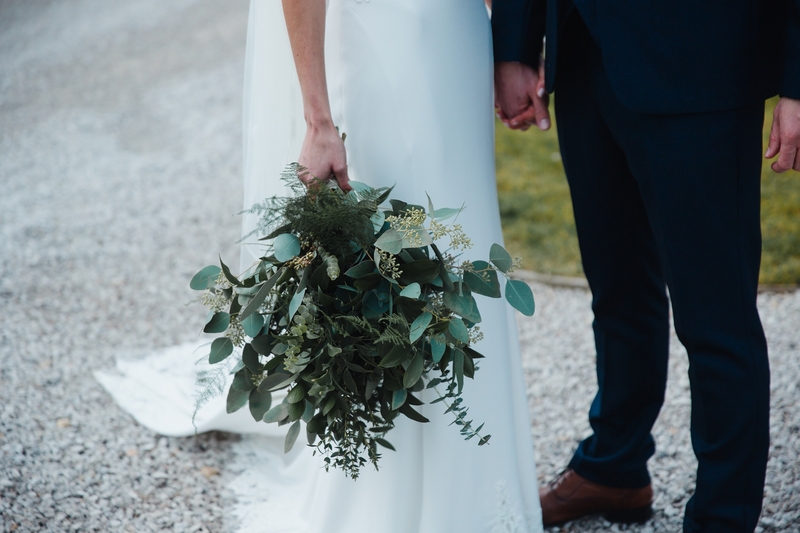 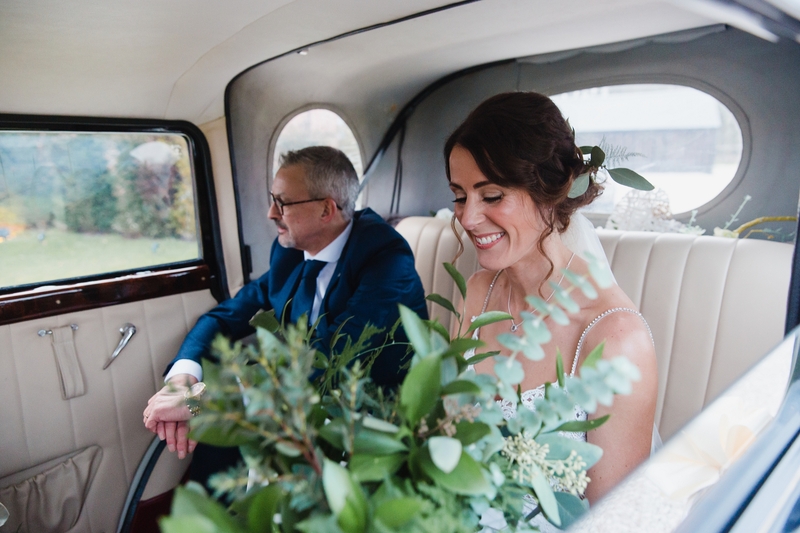 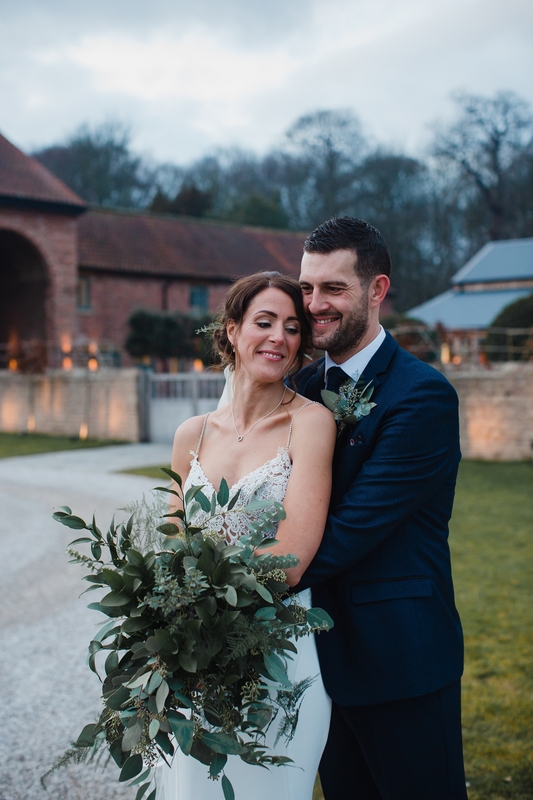 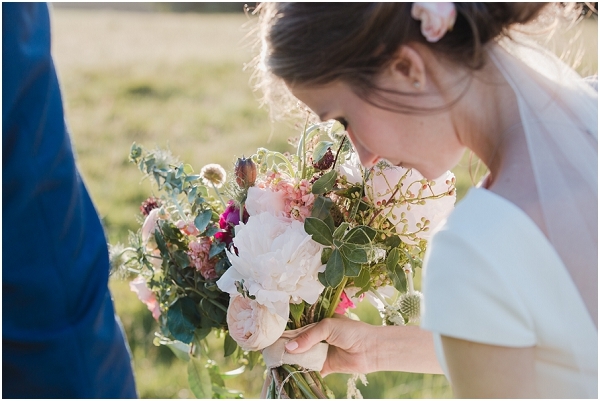 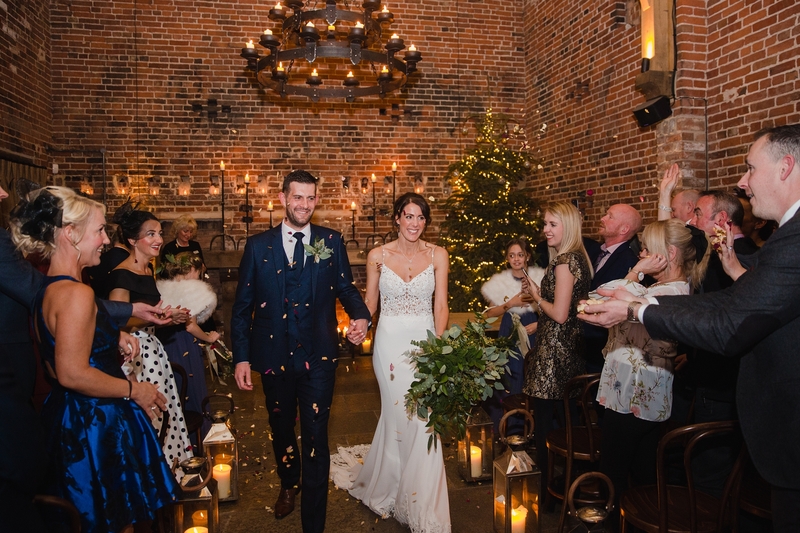 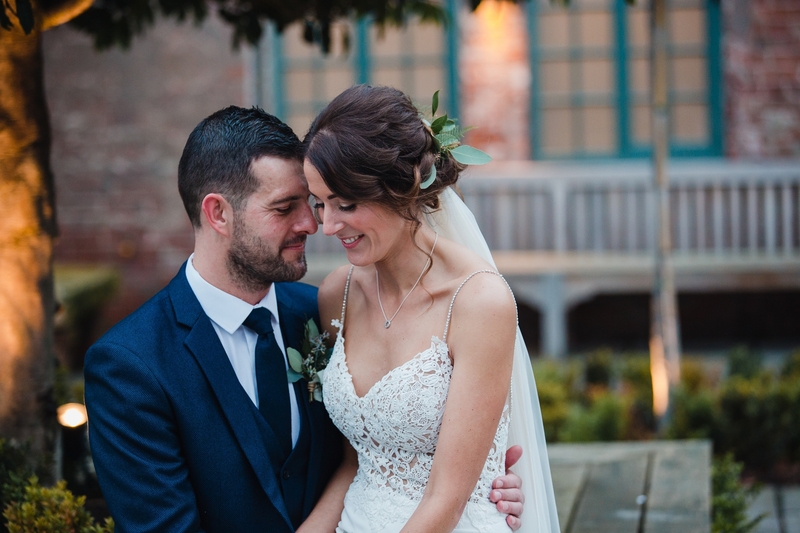 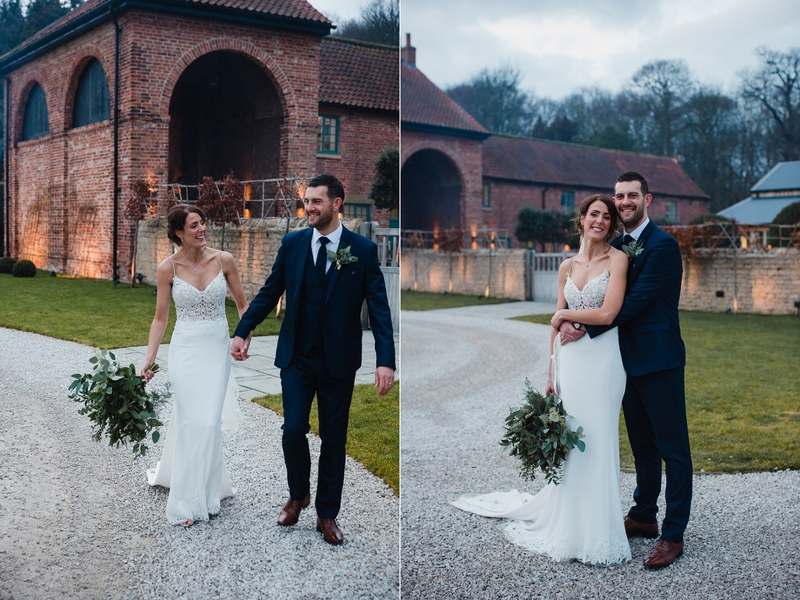 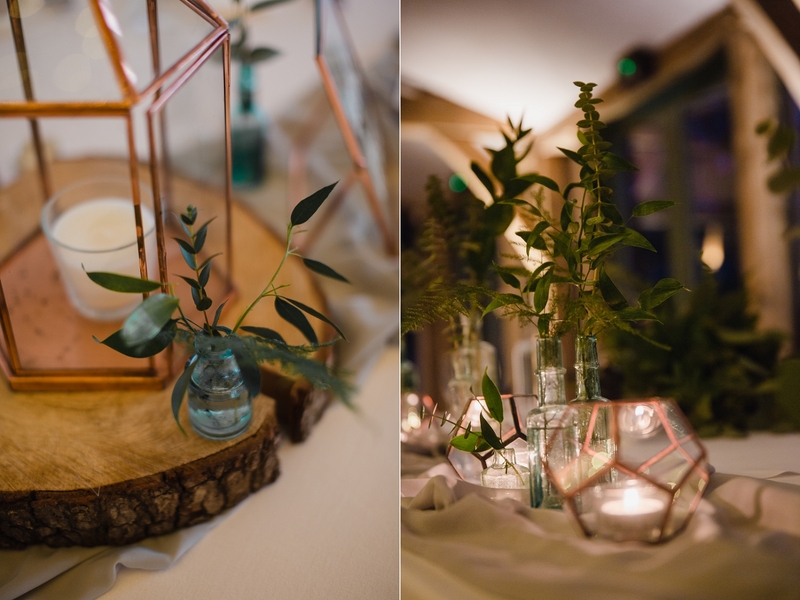 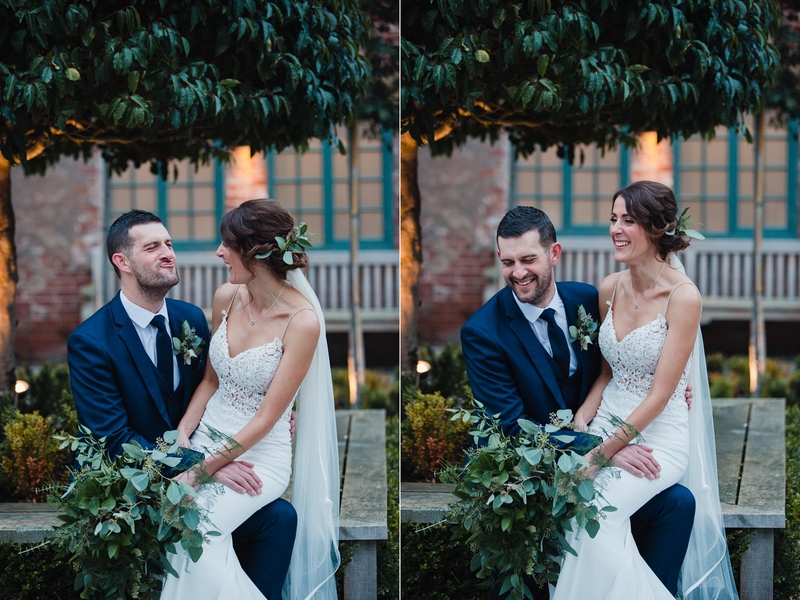 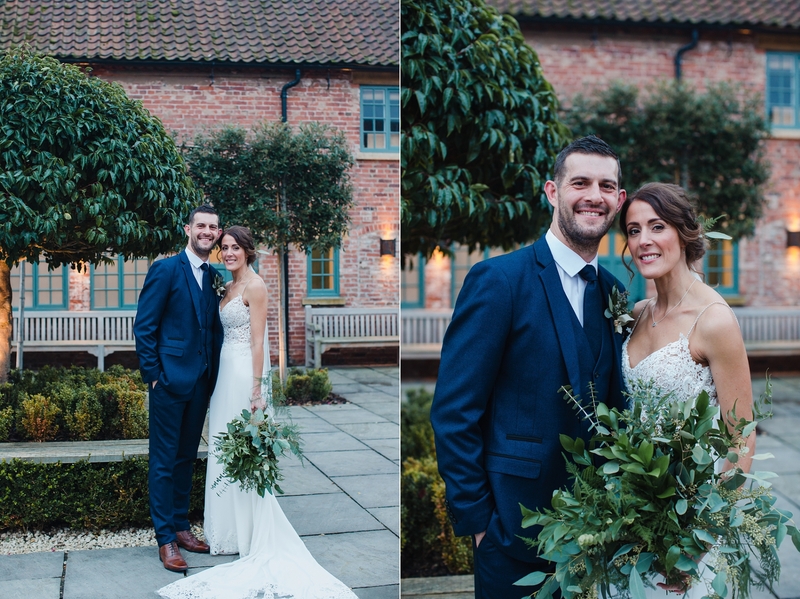 Claire and Neil went for a simple greenery look to their wintery styling. 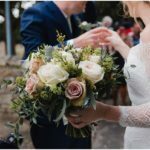 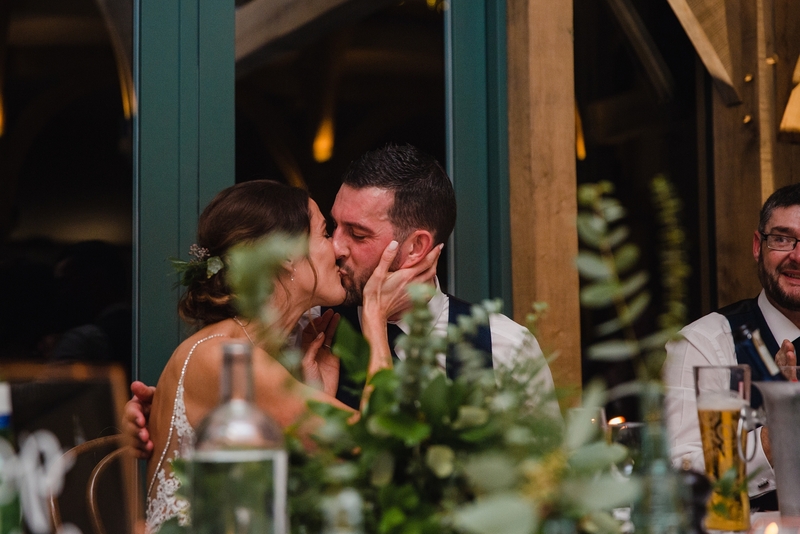 I loved Claire’s enormous free fall bouquet full of greenery which tied in to the elegant decor she choose for inside the main barn, lots of candles and fresh greenery, it looked stunning.